Error – The HTTPS protocol is required for this type of request. Finally success. Issue solved – I can move on to my testing! Contact me if you need some Dynamics 365 Sales/CRM or InsideView assistance. 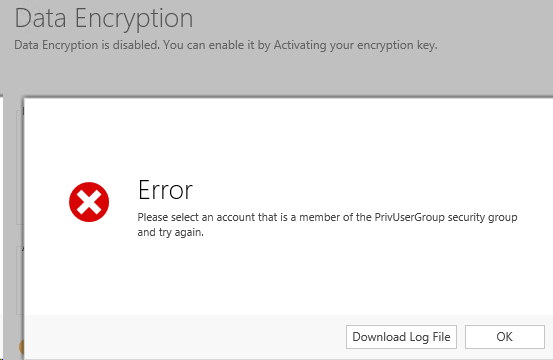 This entry was posted in CRM On Premise, Dynamics 365, Microsoft CRM, Microsoft Dynamics CRM, MS CRM, Troubleshooting and tagged Data Encryption Error, DisableSSLCheckForEncryption, HTTPS. Bookmark the permalink. can you share how you disabled data encryption? I can’t find anything on the web.